FC Locksmith provides a professional and trustworthy locksmith service throughout Newmarket, as well as the rest of York. You’ve heard the phrase “no job too big or small”. Well, we firmly believe this is the only way forward. 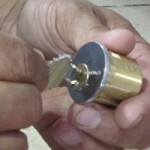 As such, we have a well-trained team of expert locksmiths who are as adept at dealing with small problems (broken keys, lock replacement, car trunk opening, etc.) as they are larger problems (lockout assistance, high-tech alarm installation, burglary repair, etc.) and are willing to take on any job, within reason of course. We’re sure you’ll find that our service is extremely good value, and we promise you there will be no hidden costs. What we quote is exactly what you’ll pay. To find out how much it will cost to fix your problem, contact us today. We’ve already aided plenty of Newmarket natives with their locksmith related issues – now we can help you. We’re available 24 hours a day, 7 days a week, including all major public holidays. 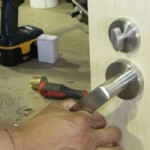 So, when you find yourself in need of a dependable locksmith, FC Locksmith is here to help. Make sure you keep our number to hand or our webpage bookmarked. You might never need to use us but just in case you do, we’ll be close at hand.